The van came with a 100W solar panel on the roof and a wooden box containing batteries and wires. 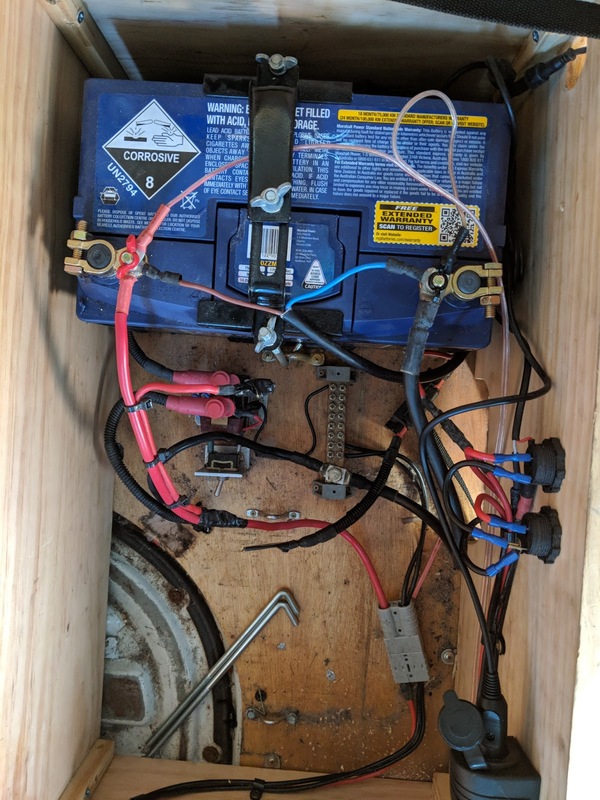 The seller told me that it had 200AHr of capacity and a good quality relay for charging from the alternator when driving and the starter battery was full. 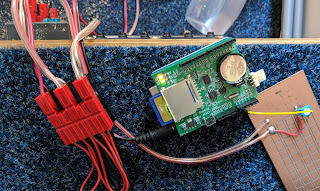 It did seem to work OK but when I spent a night out and used power for a transceiver as well as the fridge the voltage dropped faster than I had expected and it was time to investigate. Here's the contents of the magic battery box. On the right is a Century 65AHr deep cycle battery. 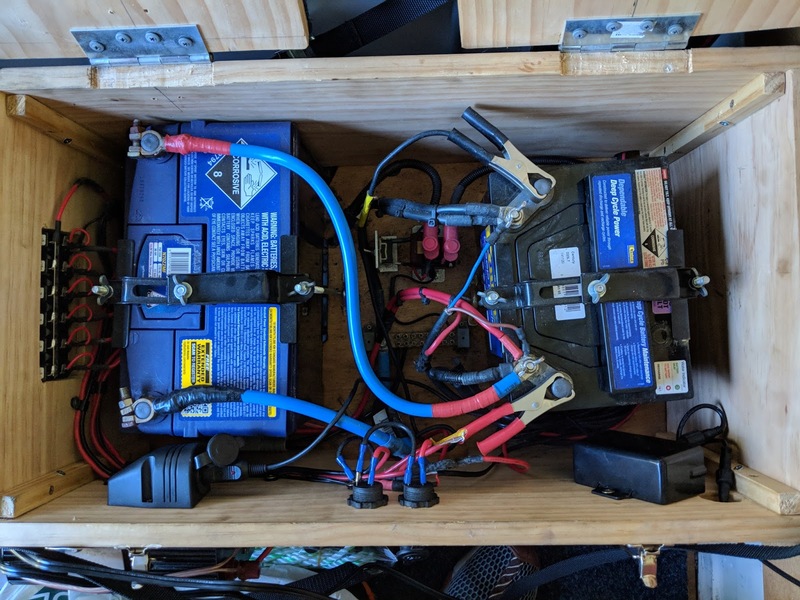 Connected in parallel on the left is an Exide 90AHr conventional lead acid battery. 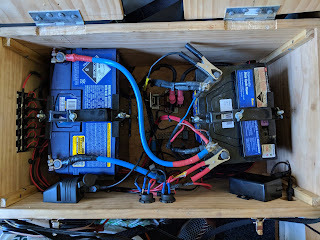 I know it's a bad idea to simply put two batteries in parallel but it's definitely a bad idea if they are different types of battery as in this case. 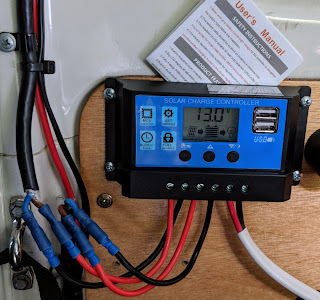 I disconnected everything - which means I now understand the wiring - and charged the deep cycle battery for a day. In the morning, with no load, it had self discharged quite a bit. My theory is that the first battery started to lose capacity and a previous owner simply added an extra battery. So, I've removed the first battery and simply wired in the second, larger capacity battery. The box looks like this now. I let this battery charge, which it did quite quickly in full sun, and then turned the fridge back on. A great benefit of keeping notes for myself on a blog is that I found this post that shows my source code for an Arduino based voltage logger. 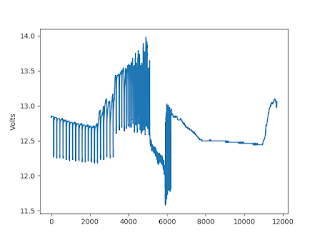 I left it sampling battery voltage every 10 seconds for over 24 hours and produced this graph. During the first afternoon it looks like the voltage was swinging pretty wildly up and down as the battery charged and then discharged to run the fridge but after few hours it settled down and now looks pretty good (although I think I need to use heavier wire to reduce resistance under load from the fridge). 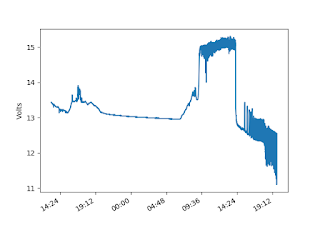 The next day was overcast and the voltage dropped to the point where the Waeco fridge (correctly) stopped running. It does this to avoid fully discharging and damaging the battery. 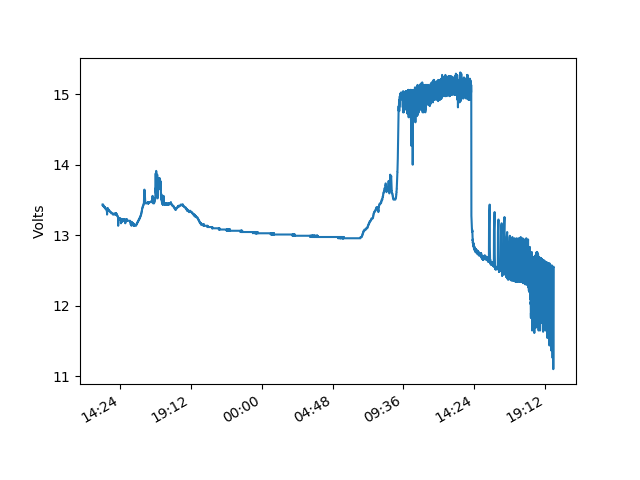 In the plot below you can see the spike down below 12V until I noticed and then turned the fridge off all together. This has prompted me to do the right thing and re-wire so that loads in the van come from the output of the charge controller so that it can take care of switching off all loads in the event that the battery falls below a set threshold. 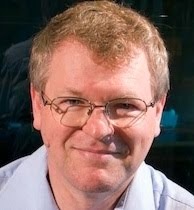 (As it came all loads are connected directly to the battery). Ever since I put in this new controller, a cheap "no brand" model from an eBay seller, it has mysteriously flashed the battery symbol rather than acting as advertised in the manual. 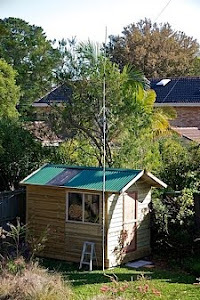 Today is still rather overcast so I'll leave the fridge off until we get back to full charge and give it another go. It may be that the second battery is also degraded but we'll see. After charging with the fridge off, I re-connected it. 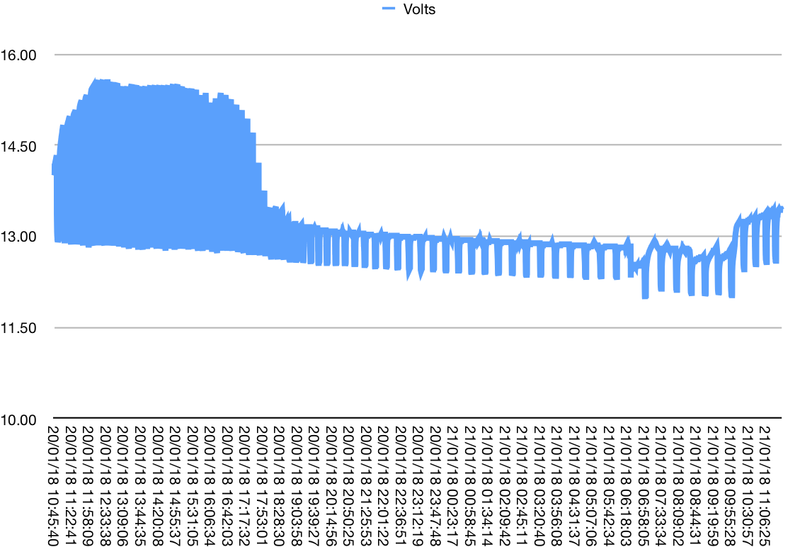 Here's a voltage plot showing a peak of charging and then a rapid decline into under voltage when the fridge was turned on. 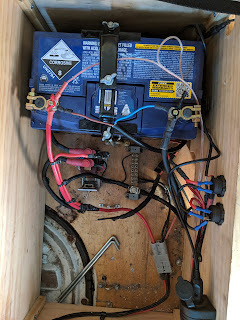 Next step is that I've moved the 150AHr battery from my shed into the van and am now running the fridge. We'll see how that goes. 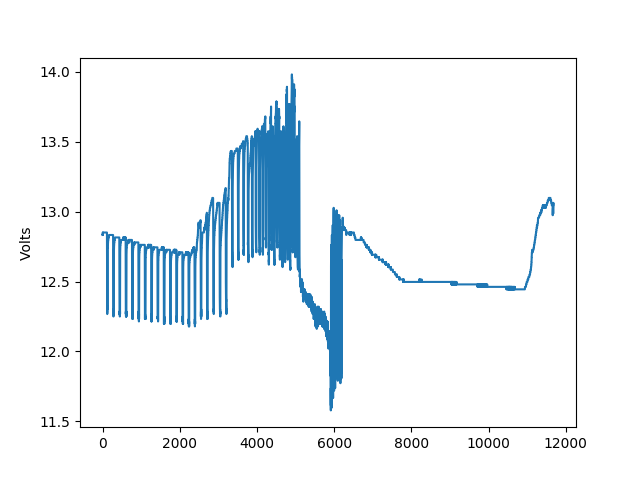 As an aside, drawing these graphs with a time axis took me a little tinkering so here's the latest code using matplotlib in python 3.